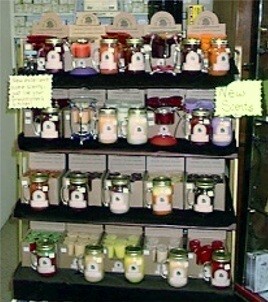 The Curio Shoppe has a huge selection of many different varieties of candles. Their wonderful fragrance and romantic lighting make candles the perfect gift for any occasion or the perfect purchase for making an occasion wonderful. The picture I have below is obsolete.